Goodwell, Okla. — Quite possibly one of the friendliest and most driven students on campus, Melody Ethley has certainly left a mark on campus during her time as an Aggie and her future looks equally as bright! 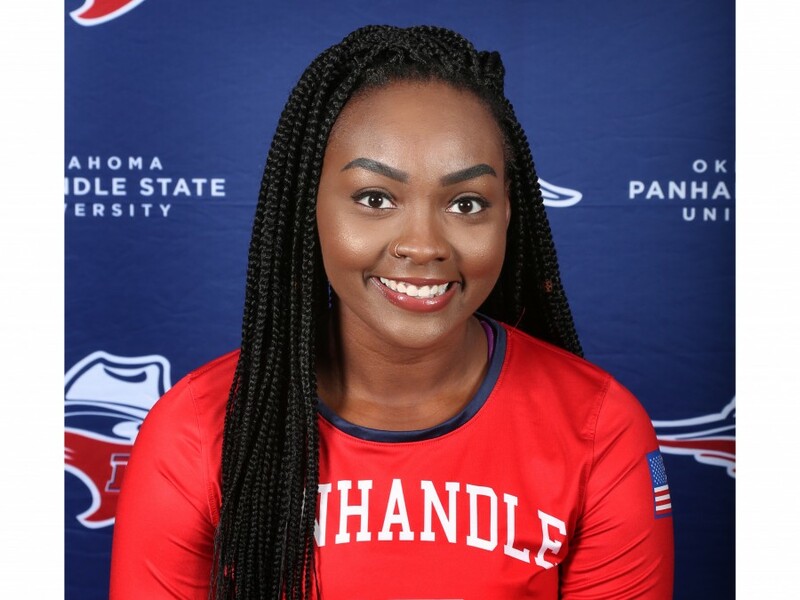 A senior from Arlington, Texas, Ethley found her way to Goodwell with the opportunity to attend on a volleyball scholarship being the key reason. It seems to have been the perfect fit for Melody! She is extremely active on campus and is a member of the Volleyball team, Phi Beta Lambda (PBL), and Association of Information Technology Professionals (AITP). She was named the 2018 Winter Homecoming Queen and is currently serving as the Volleyball Team Captain, PBL President, and AITP Secretary. Melody is also a writer for the student newspaper, The Collegian. She has had numerous honors as a student including being named to the Dean’s Honor, Chi Alpha Sigma Inductee, 2018 Honorable Mention at the US Information Technology Collegiate Conference, and 2018 USITCC Regional 3rd Place in Systems Analysis & Design. As far as plans following graduation this spring, Melody has a couple of different options in mind. She is interested in continuing her education in Information Technology and pursuing a master’s degree plan that will allow her to become Microsoft certified. Melody would like to attend Gonzaga University or Eastern Washington University. Other future plans include gaining an internship at her hometown in the field of Cybersecurity or Human Computer Interaction (HCI). Melody has a Pit Bull named Buddy who “owns her whole heart” and she is the youngest of four girls. She loves everything about makeup and even taught a makeup class this past summer.